I’ve started swimming as part of my rehabilitation and have finally graduated to the fast lane. When I started a few weeks ago I was doing old ladies swimming in the slow lane, which was a bit Infradig for me. I can do about 1 kilometre now and it no longer feels as though I have a lump of wood on the end of my leg. I’ve had 8 physio sessions, which have really helped with getting some movement in my ankle. I am walking mostly unaided albeit with a distinct limp, listing to starboard. I’ve also had the final check up with my surgeon who is happy with everything – good news. Last weekend we left Pete and Kath in peace for a bit and went to stay with Liz and Paul in Stratford Upon Avon. 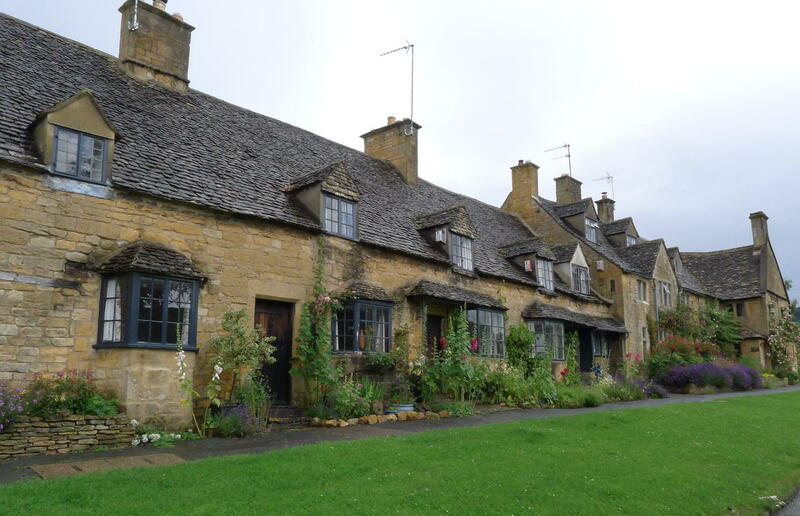 What a beautiful area, picture postcard villages and quaint pubs, rolling green fields and babbling brooks. It rained (of course) but we managed to do quite a few churches - Saxon, Norman, Gothic, Victorian, all with a tale to tell through their architectural changes. We are sorting out our new home gradually. We now have new LPG gas tank for cooking, and solar panels are being fitted. We have fridge that can hold a reasonable amount of wine bottles. Bookshelves are going in next week and a new trailer for Mojo will be fitted in late July. We should be on the road next week. Peter and Kath are off to the Alps next week and we have promised to be gone before they get back. Then again, we feel really at home here (apart from the weather), so maybe we’ll just change the locks.